The Russian President is visiting the soft underbelly of Eurasia. Kazakhstan was the first country on the tour, where Vladimir Putin on February 27th discussed with President Nursultan Nazarbayev projects in the framework of the Eurasian Union and their further development. On the same day was a meeting with Tajik President Emomali Rahmon to discuss issues of trade and investment, and cultural, scientific and educational cooperation between the two countries. Also, agreements were signed between the Russia and Tajikistan. Special attention paid to Tajik-Afghan border. 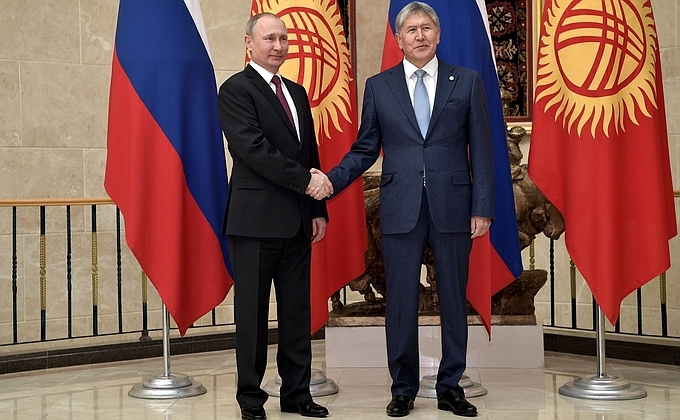 February 28th began with the visit of Russian President Vladimir Putin to Kyrgyzstan, the timing of which coincided with the 25th anniversary of the establishment of diplomatic relations. It is important to note that all three countries belong to the geopolitical area of Hinterland, which is also a part of the "Eurasian Balkans". This region is prone to destabilization which can be seen in the example of color revolutions in Kyrgyzstan and attempts to provoke such in Kazakhstan. At the same time, the Central Asian states are Russia’s partners on a number of projects (Kazakhstan itself was the initiator of the creation of the Eurasian Union) and are located in the zone of Moscow's national interests. These factors are used by external forces to carry out their policies. China, in particular, has a constructive approach and is implementing the long-term initiative of the New Silk Road. The West, on the contrary, intends to magnify and exploit the differences between the interests of these countries, playing on very important issues such as the distribution of water resources, changes in political systems, drug trafficking, and radical Islam.